Zoom! Your Way to Whiter Teeth! Do you hesitate to smile because of yellowing or stained teeth? You can give your smile a renewed brightness at our Friendswood and Pearland cosmetic dental practices. We offer Zoom! or Boost whitening in-office and Opalescence take-home whitening kits. We can help you choose the best teeth whitening option to fit your lifestyle so you can feel confident about smiling again! Natural aging and enamel wear, which shows more of the yellow dentin layer. Use of nicotine tobacco products that leave a brown tint on your enamel. Eating darkly pigmented foods including curry, chocolate, blueberries, and dark juices. Drinking beverages containing tannin, like tea or coffee. Taking certain vitamin supplements or medications, especially tetracycline. At our Friendswood and Pearland offices, our teeth whitening professionals can help whiten your teeth regardless of the reason for discolored teeth with Zoom!, Boost, or Opalescence. Our cosmetic dentists have selected the leading tooth whitening system Zoom!. Our in-office treatments can transform your smile in just one visit to our Pearland dental practice. In about an hour, Zoom! whitening can brighten your smile up to eight shades lighter. We start with making you comfortable in our state-of-the-art treatment rooms. We provide pillows, blankets, music, or TV programs to help you relax during the teeth whitening process. Our Pearland tooth whitening professionals protect your lips and gums using a protective barrier before they carefully apply the Zoom! whitening gel to each tooth. The teeth whitening process is activated by a special ultraviolet light. Once activated, the gel starts removing the stains from your teeth. You can see results before you leave our office! 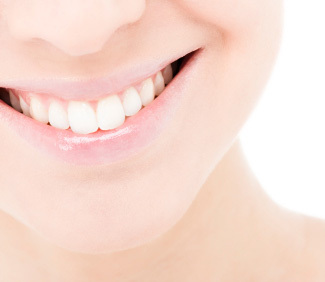 With a stunning new smile, your self-esteem can get a much-needed boost. For a convenient and more gradual option, our Friendswood and Pearland dentists offer at-home Opalescence teeth whitening kits. Opalescence is the most trusted brand amongst dentists. Our team will give you custom trays and a professional grade teeth whitening solution. Fill your trays with bleaching gel and wear them as directed. Though most patients can see a difference after one treatment, optimal results take about 10 to 14 days. Boost offers amazing results that uses a special chemical reaction for effective and instantaneous in-office teeth whitening. Our convenient location in Friendswood and close-by areas is reassuring for patients who rely on us for teeth whitening and other cosmetic dental care treatments. CALL OUR OFFICE today to schedule an appointment for friendly, unparalleled family and cosmetic dentistry if you are in the area, including Manvel!